Note: Race extended five laps past its scheduled 188-lap distance due to a green-white-checkeredfinish. ● Bowyer started second and finished second to earn nine bonus points. ● Bowyer tucked in behind Stewart-Haas Racing (SHR) teammate and polesitter Kurt Busch on the start and held his place throughout the stage. ● Told crew his car was loose in turns. ● Made a gas-only pit stop on lap 12. ● SHR drivers raced single file and pulled out to a big lead before sweeping the top-four spots in the stage. ● Made four-tire stop on lap 57 before the stage went green. ● Once the green flag fell, Bowyer and his SHR teammates dominated the stage, running single file and in the lead. ● SHR swept the top-four spots in the stage for the second time in the race. ● “We did what we had to do today in the stages,” crew chief Mike Bugarewicz told Bowyer and the crew. ● Bowyer started 15th and finished second. ● The No. 14 pitted for four tires before the final stage, dropping to 15th at the start. ● Climbed to fifth after a caution with 46 laps remaining. ● The SHR foursome returned to the front of the field, with Bowyer fourth, running single file with 40 laps remaining. ● Bowyer started fourth and moved to second when the field returned to racing with 24 laps remaining. ● The No. 14 stayed in second even when a late caution sent the race into overtime. ● Bowyer said his engine sputtered during overtime with fuel running low, but he battled through some wild racing and finished second. ● Ford now has 28 all-time series wins at Talladega, including 10 of the last 13. 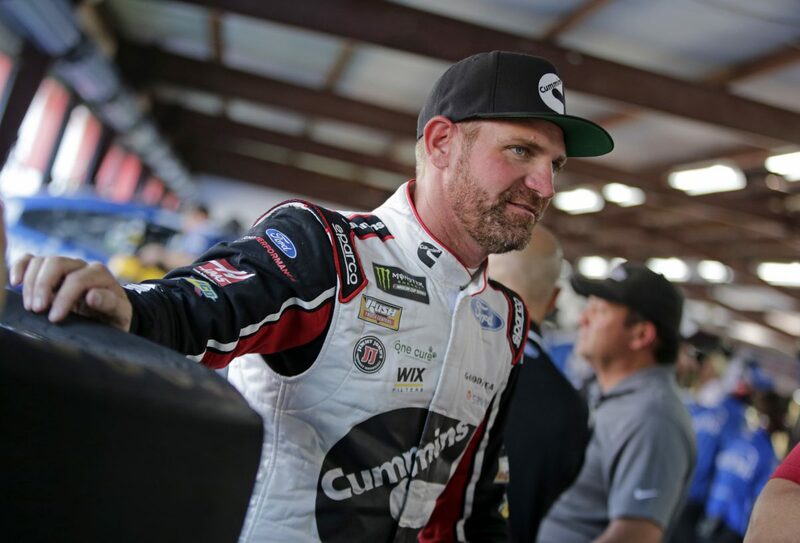 This was its seventh straight Monster Energy NASCAR Cup Series victory at Talladega.● This was Bowyer’s ninth top-five finish of 2018. ● Bowyer earned his seventh top-five in 26 career Monster Energy NASCAR Cup Series starts at Talladega. ● Aric Almirola won the 1000Bulbs.com 500 victory. It was his second career Monster Energy NASCAR Cup Series win, his first of the season and his first at Talladega. His margin of victory over second-place Bowyer was .105 of a second.